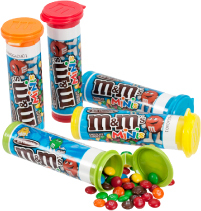 We offer a wonderful selection of kids birthday party favors and can customize any product with your childrens birthday theme for boys or girls. 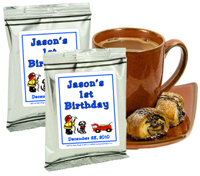 Whether you need personalized birthday favor ideas for a child or teen, we have unique birthday party favors that are sure to impress. 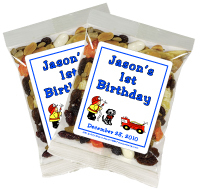 Birthday candy bar wrappers, birthday bubble bottles, birthday Tic Tac mints, birthday goodie bag tops, and birthday popcorn wrapper favors are among our most popular birthday party favors. 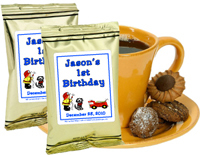 Children's favors including, edible birthday sweets, mint birthday favors, beverage birthday favors, and peel and stick birthday labels, etc. 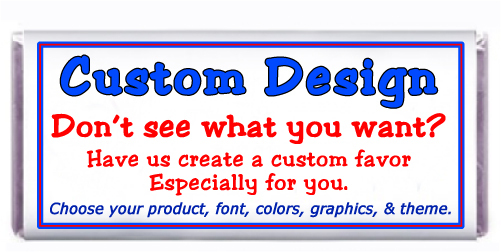 Looking for a special design, we can personalized any of our kids birthday party favors with any character that will go with your party supplies and childrens birthday party theme. 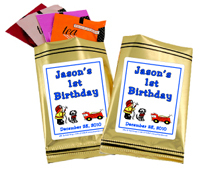 Party Wraps children's birthday favor designs, can be personalized and used as a children's birthday party favor or gift. 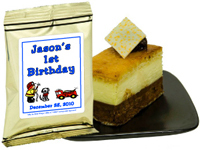 Our party favors and gifts are a perfect way to celebrate your children's birthday celebration.